The management team of the group is made up of a crop of seasoned and industry-recognized professionals, with diverse (but complementary) skills in various backgrounds, as well as depth of experience (garnered from national and international institutions). Over the years, these executives have brought their knowledge, experience and leadership to bear on the development and delivery of solutions (through products and services) to meet the needs of our customers and, in the process, contributing to sustaining the performance of the group till date. Tony Elumelu is an economist, investor, and philanthropist. He chairs the privately held investment firm, Heirs Holdings and Nigeria’s largest quoted conglomerate Transcorp. Mr. Elumelu invests across Africa and his investments are primarily informed by his philosophy of Africapitalism: the belief that the private sector can lead Africa’s economic renaissance and that investment should create both economic prosperity and social wealth. Tony sits on several global public and social sector boards including the United Nations Sustainable Energy for All Initiative (SE4ALL) and USAID’s Private Capital Group Partners Forum (PCG). 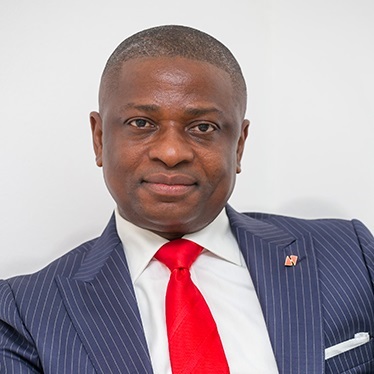 He is the Chairman of leading African financial services group, the United Bank for Africa (UBA), with a presence in 20 African countries, and offices in Paris, London, and New York. 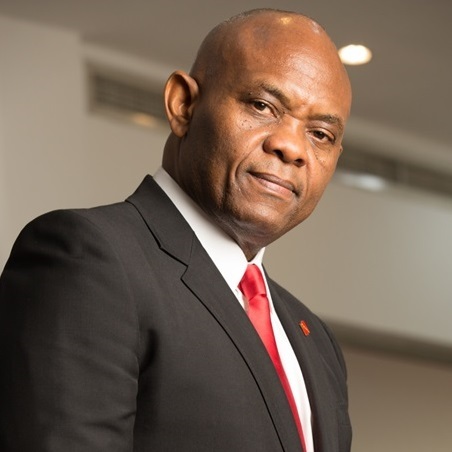 He is also the Founder of the Tony Elumelu Foundation, which has seeded $100 million through the Tony Elumelu Entrepreneurship Programme, to champion entrepreneurship across Africa over the next 10 years. Kennedy Uzoka holds a BSc. in Mechanical Engineering from the University of Benin and an MBA from the University of Lagos. Mr. Uzoka has over two decades of experience covering Core Banking, Corporate Marketing Communications, Strategy, and Business Advisory Services. Kennedy is currently Group Managing Director/CEO and he is responsible for leading the development and execution of UBA Group’s long-term strategy. 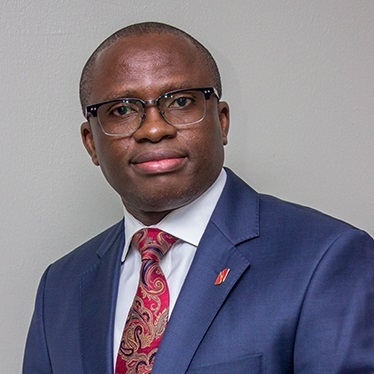 Prior to his current role, he was Group Deputy Managing Director and CEO, UBA Africa managing the Group’s country subsidiaries across 18 countries in Africa, as well as supervising three key strategic support areas in Digital Banking, Information Technology, and Personal Banking. As Deputy Managing Director, he was the Executive in charge of the Group’s businesses in New York and London. He is an alumnus of Harvard Business School (AMP) in Boston USA, the International Institute of Management Development (IMS) in Lausanne, Switzerland and the London Business School, United Kingdom. Ambassador Joe C. Keshi is currently the Vice Chairman of UBA Group. He is also the Chairman of Afrigrowth Foundation, Director General BRACED Commission, responsible for economic cooperation and integration among the core six south south states of Nigeria. Co-chairman, Board of Patrons, Educational Cooperation Society and a member, Board of Trustees Lifestyle Medical Practitioners Association of Nigeria. Before joining the Bank, Ambassador Keshi had a distinguished career in the diplomatic service of the Federal Republic of Nigeria ending up as the top career diplomat of the country, when he served as the head of the ministry in the capacity of the Permanent Secretary. He had also served as the Permanent Secretary, Cabinet Secretariat responsible for the meetings of the Federal Executive Council, presided over by the President. During the course of his 35 years diplomatic career, Ambassador Keshi served in about eight countries and various capacities, including, Charge D ‘Affairs, Embassy of Nigeria, The Netherlands, Consul General, Nigerian Consulate, Atlanta, USA, and held a number of management positions in the Ministry of Foreign Affairs of the Federal Republic of Nigeria. He was a member of various Nigerian delegation and participated in a number of bilateral, political and multinational economic negotiations including, being a member of an international team that negotiated the Peace Agreement that ended the ten years civil war in Sierra Leone. Ambassador Keshi earned his Bachelors of Science degree in Political Science from the University of Ibadan, Nigeria, Diploma in International Relations and Diplomacy from the Nigeria Institute of International Affairs, Lagos, Nigeria and his Master’s degree in Public Administration and Development (with policy analysis, as area of policy concentration) from the Institute of Social Studies, the Hague, the Netherlands, (Erasmus University). He is also a fellow of the Kennedy School of Public Administration and fellow of the Harvard Business School. 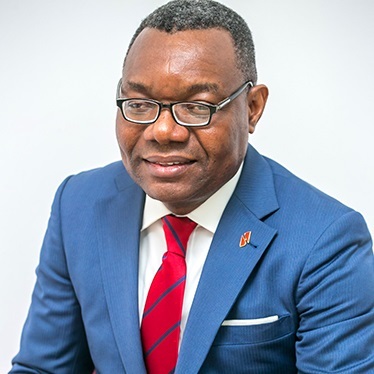 Victor Osadolor is the Deputy Managing Director, United Bank for Africa (UBA) Group, a Director on the Board of UBA Capital Europe, the Chairman of UBA Pensions Custodians Limited and a Non-Executive Director of African Finance Corporation (AFC). Victor holds a second class (upper division) B.Sc (Hons) degree in Accounting from the University of Benin. He is a Fellow of the Institute of Chartered Accountants of Nigeria (ICAN), an alumnus of Harvard Business School’s Advanced Management Program and an honorary life member of the Chartered Institute of Bankers of Nigeria (CIBN). 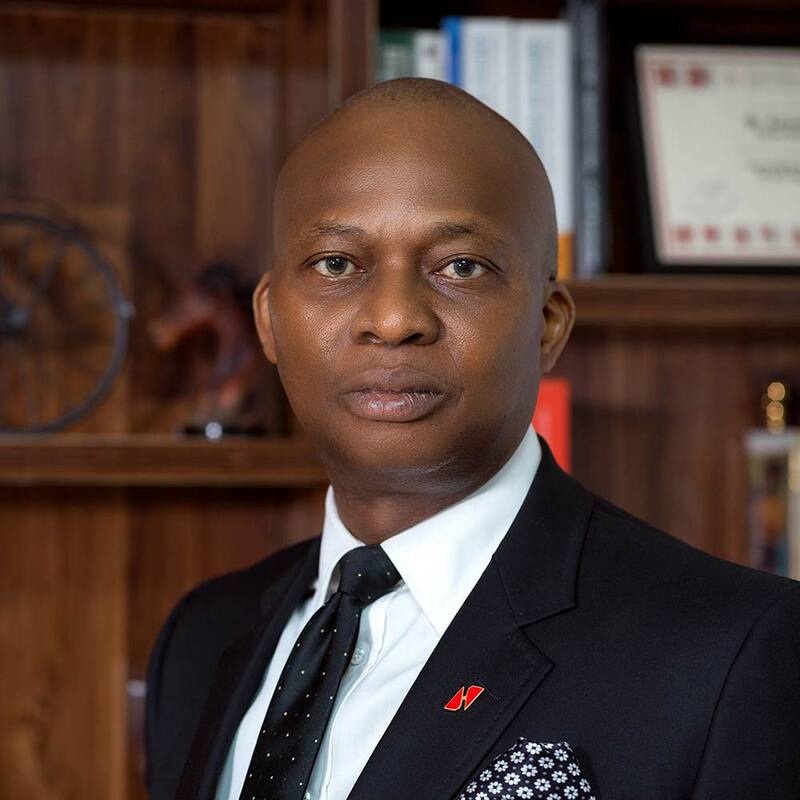 Until his appointment as the Deputy Group Managing Director of UBA PLC, Victor served as Group Director, Heirs Holdings (HH) Limited between 2014 and 2015. Prior to this, Victor was at different times between 2012 and 2014, the Chief Operating Officer for Corporate and Investment Banking as well as the Chief Strategist for Ecobank Transnational Incorporated (ETI). In these capacities, Victor worked out of Johannesburg, South Africa and Lome, Togo. Victor in the course of his career spanning over 27years has, at various times before joining Ecobank Transnational Incorporated (ETI), served as Managing Director – UBA-Capital, Deputy Managing Director – UBA (South Bank), Executive Director – Risk & Finance (UBA), Group Chief Finance Officer – UBA, Executive Director –Risk & Compliance (Standard Trust Bank), Deputy Managing Director (CTB), Chief Finance Officer (Ecobank Nigeria), Chief Finance Officer (Guaranty Trust Bank) and Auditor, Coopers & Lybrand (now PricewaterhouseCoopers). Victor Osadolor is an avid reader, loves playing chess and happily married with children. Erelu Angela Adebayo who graduated with an M.Phil in Land Economy from Cambridge University is the former First Lady of Ekiti State in Nigeria. Mrs. Adebayo previously served on the boards of several organizations, including the Dangote Foundation, DN Meyer Plc, Wemabod Estates. Mrs. Adebayo is a council member of the Nigerian Stock Exchange and has worked extensively on real estate development and She is the Chairman of the Erelu Adebayo Foundation for the underprivileged. He holds a B.Sc in Political Science and M.Sc in Political Science (International Relations), as well as an MBA from the University of Lagos, Nigeria. He has attended several Executive and Leadership Development Programmes organised by the Wharton Business School; the International Institute for Management Development (IMD); the Said Business School, Oxford University, and others. He has over two decades of banking experience. 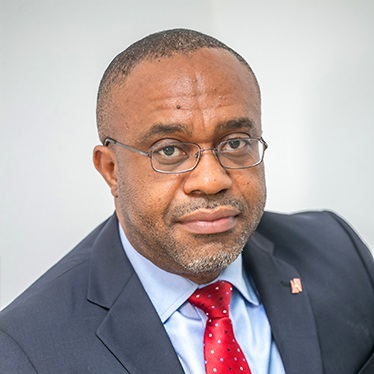 Emeke is the Regional CEO, East, and Southern Africa, with responsibility for building and growing the Bank’s business and strengthening governance in UBA’s subsidiaries in these sub-regions. Prior to this, he was at various times Regional CEO, Central Africa; CEO UBA Central, East, and Southern Africa; and, CEO UBA West Africa. He also ran the Bank’s Corporate Banking business, as well as Lagos and Western Nigeria. Emeke was also the pioneer MD/CEO of UBA Cameroon. He holds a B.Sc degree in Geography and Planning from the University of Nigeria, Nsukka and an MBA (Finance) degree from the ESUT Business School Lagos. He is an associate of the Nigerian Institute of Management (NIM) and has attended various local and international courses, including the Competition and Strategy programme at the Harvard Business School. He acquired varied work experience in the manufacturing industry before moving to the financial services sector. He has over 20 years of banking experience, garnering capabilities in Domestic and International Operations, Credit and Marketing. He is currently responsible for the Bank’s retail and commercial business in Abuja and North Central Bank, Nigeria. She also has vast public service experience, having served as Commissioner in the Ministries of Finance and Women Affairs in Lagos State and it is to her credit that during her tenure, the broad policies that led to the State’s Accelerated Revenue Generation Programme (ARGP) were formulated. She was also the Chairman of the State’s Tenders’ Board, a member of the Federal Accounts Allocation Committee (FAAC) and the State’s Executive Council. Foluke has held several major board positions including Julius Berger. A council member of the Bank Directors Association of Nigeria (BDAN) and a member of the Institute of Directors (IOD). She is a recipient of the ‘Lagos State Women of Excellence in 1999 and a Justice of Peace (JP). She currently runs Bridge House College, Ikoyi, Lagos, a sixth-form College that offers first-class pre-University Foundation and ‘A’ Levels for students seeking university education in Nigeria and overseas. A Chartered Accountant (FCA), Chief Jamodu is also a fellow of the Chartered Institute of Management Accountants, London (FCMA), the Chartered Institute of Taxation of Nigeria (FCIT) and the Institute of Chartered Secretaries and Administrators of Nigeria (FCIS). His work experience spans the multinational sector in Nigeria, having worked in UAC, Unilever and PZ Industries where he rose to the position of Chief Executive and later appointed as the Chairman, thereby combining the position of the Chairman/Group Chief Executive of the Group. An alumnus of the Harvard Business School, Boston, USA, and a former Minister of Industry of the Federal Republic of Nigeria. Chief Jamodu is a Past President, Manufacturers Association of Nigeria (MAN). He is currently the Chairman of the Boards of Nigerian Breweries Plc and PZ Cussons Nigeria Plc. He is a recipient of National Merit Awards including Member of the Order of the Federal Republic of Nigeria (MFR), Officer of the Order of the Federal Republic of Nigeria (OFR) and Commander of the Order of the Federal Republic of Nigeria (CFR). He is also a recipient of the National Productivity Merit Award (NPMA). 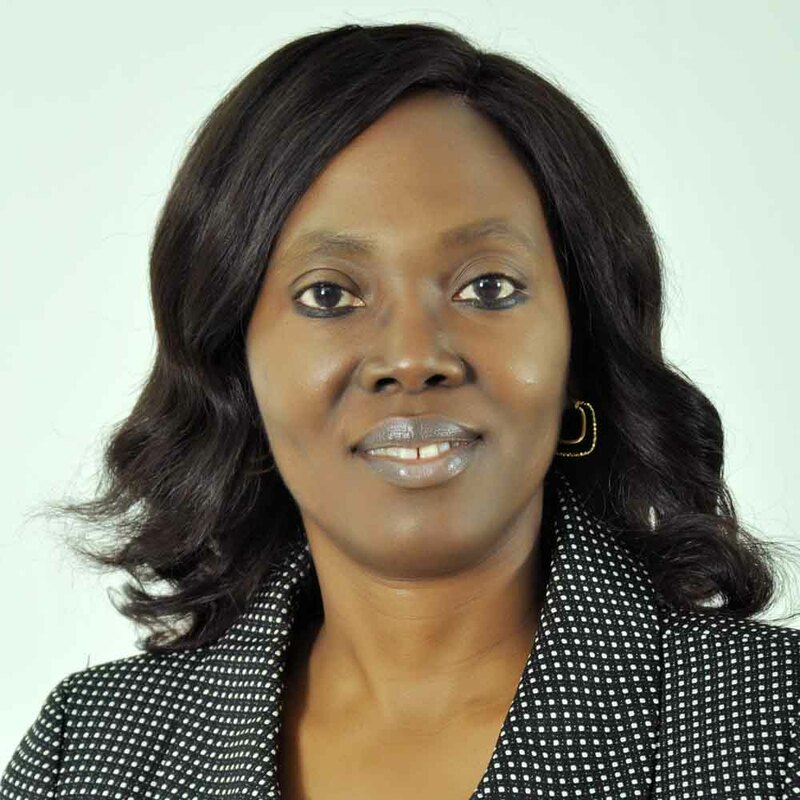 Ms. Angela Aneke is a board advisor, banker and a strategic thinker with over 30 years’ experience in financial services, in the areas of financial control, strategy, transaction banking, corporate banking, retail banking, and governance. Ms. Aneke has held executive management and board positions in several international and regional institutions, including Ecobank Transnational Incorporated and the United Bank for Africa. 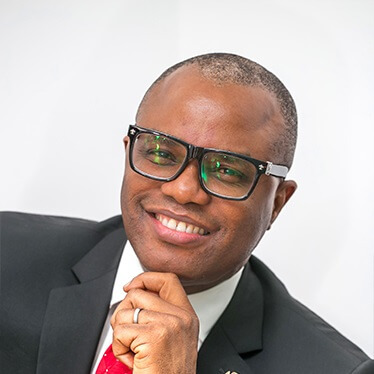 Mr. Oliver Alawuba has over twenty years of work experience in the banking industry and the academia. 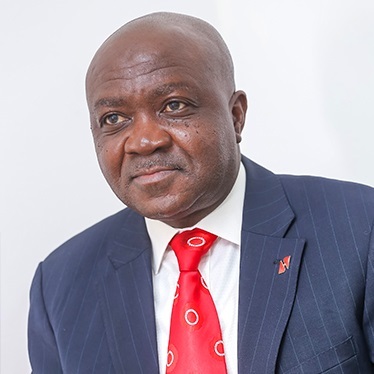 Oliver was at various times an Executive Director at Finbank Nigeria Plc (now FCMB Plc), MD/CEO of UBA Ghana Ltd, MD/CEO of UBA West Africa, Directorate Head, Public Sector and Personal Banking and Regional CEO, UBA Africa – Anglophone. He is presently the Executive Director, East Bank, Nigeria. Oliver has B.Sc and M.Sc degrees in Food Science and Technology and MBA in Banking and Finance. He is an alumnus of the AMP and SEP programmes of the prestigious Insead Business School, France, and London Business School respectively. He is also a Fellow of Nigerian Institute of Management and Honorary Senior Member of Chartered Institute of Bankers of Nigeria. Mrs. Onari Duke has led a distinguished career which has straddled the roles of lawyer, public servant, entrepreneur and philanthropist. The former First Lady of Cross Rivers State, Nigeria, Mrs. Duke used her position to raise awareness and currently serves as the Country Director of EMPRETEC Nigeria Foundation; a United Nations Centre for Trade & Development (UNCTAD) Private Sector Support Initiative that aims to assist Nigerians to achieve high levels of productivity and competitiveness among SMEs. Mrs. Duke is also the Managing Partner of the law firm Duke and Bobmanuel. She is a certified Mediation/Dispute Resolution Consultant. In addition to this she serves as the Executive Chairman of Allied Merchants & Brokers Limited, a leading merchandising and brokerage firm. High Chief Samuel Oni is a Chartered Accountant with a distinguished career that spanned well over 35years. 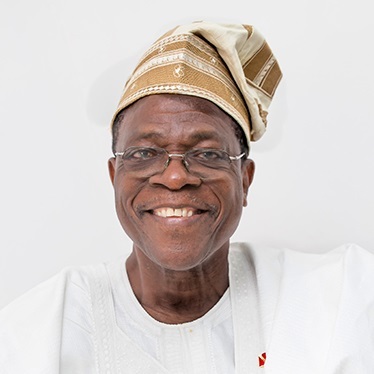 Having qualified as a Graduate Member of the Association of Chartered Certified Accountants in 1980, he held the position of Senior Accountant/Company Secretary in various establishments, including New Foods & Drinks Company Ltd. Abiola & Sons Bottling Company, and Kwara Breweries Ltd. He joined Kwara State Government and was deployed to Kwara State Agricultural Development Project as the Financial Controller. In October 1993, High Chief Oni transferred his Services to the Central Bank of Nigeria (CBN) and assumed the position of an Assistant Director. He became a Commissioned Examiner and rose through the ranks in CBN and was appointed the Director of Bank Examination Department in 2003. He also served as the Director of Other Financial Institutions and Internal Audit Departments between 2005 and 2008. In 2009, he became the Director of Banking Supervision Department where he played a prominent role during the intervention process of the CBN that restored stability in the banking system, following the Financial Crisis of 2008/2009. He voluntarily retired from the CBN in June 2011, having completed the eight years as a Director in line with the Tenure Policy for all Directors in Government Ministries, Agencies and Parastatals. He attended both local and overseas training, workshops and seminars during his career. 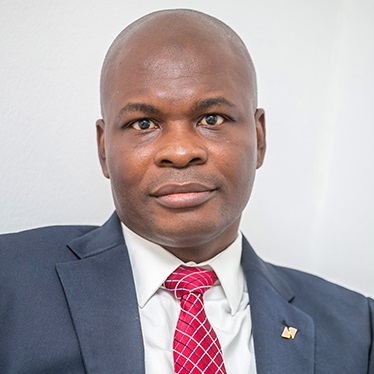 He holds a Master’s degree in Business Administration from the University of Ilorin and a Fellow of both the Association of Chartered Certified Accountants and the Institute of Chartered Accountants of Nigeria. He is also a member of the Chartered Institute of Taxation of Nigeria and an honorary member of Chartered Institute of Bankers of Nigeria. Mr. Puri possesses a Masters of Banking and Finance degree obtained from Bayero University, Kano and has over 29 years of continuous banking experience. 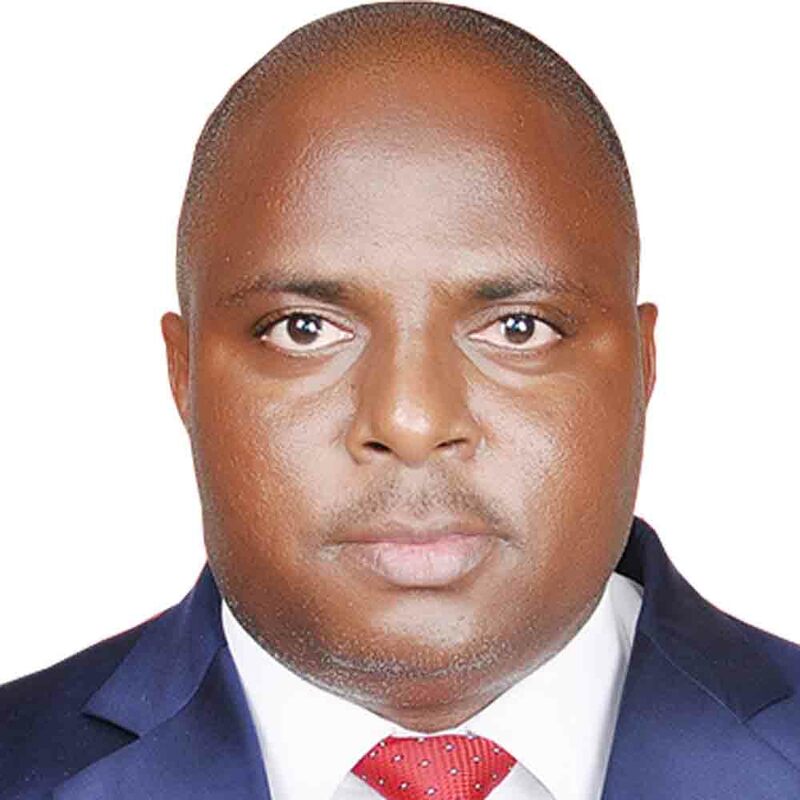 He joined UBA in 2006 and has held the following roles in the Bank; Directorate Head North, Head, Wholesale Banking North, Regional Director, Abuja, and Regional Bank Head, North Central and North East. Prior to joining UBA, he worked with Savannah Bank Plc and Universal Trust Bank holding management roles such as Regional Business Controller, North, and Head, Large Corporates North. In recognition of his excellent work ethic and leadership skills, he bagged the award for Customer Service Excellence, Turnaround Manager of the Year and Most Effective Team Lead. He has attended several trainings in and outside the country Including Executive Leadership, Corporate Governance, Structured Finance, Advanced Credit Analysis, Corporate Finance and Derivatives, Marketing and Relationship Management, Negotiation Skills, etc. He holds a B.Sc in Business Management from the University of Nigeria, Nsukka. Ayoku is also a Chartered Accountant and member of the Institute of Chartered Accountants of Nigeria (ICAN). 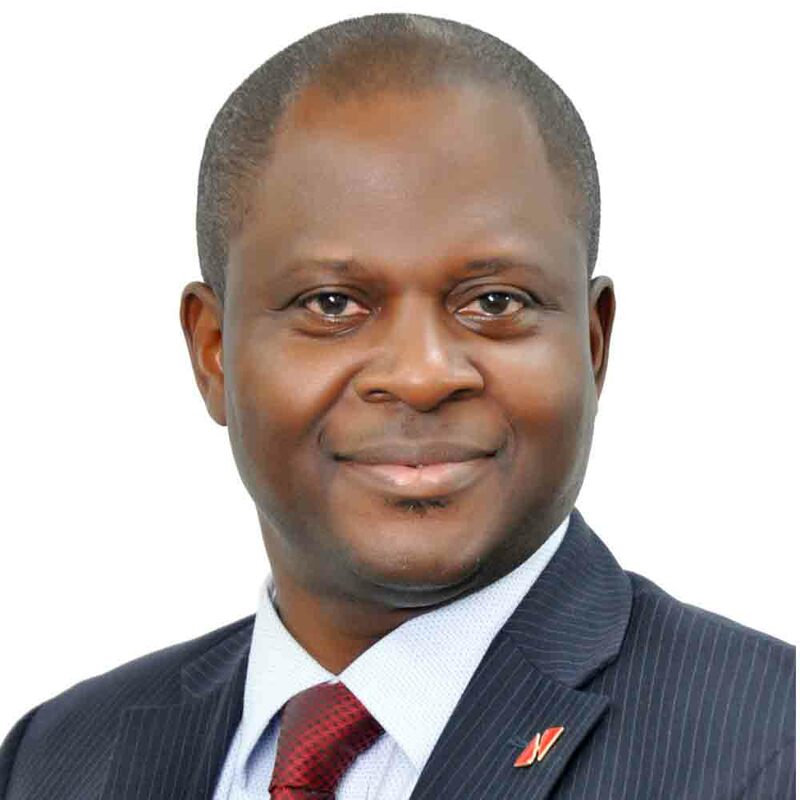 Prior to joining UBA Plc in 2014, he had over two decades of banking experience in Business Transformation, Relationship Management, Banking Operations, Risk Management, and Financial Control. 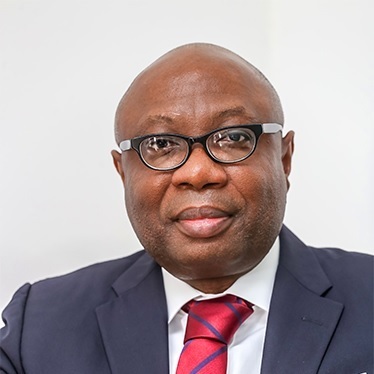 He was the Managing Director, Guaranty Trust Bank, Sierra Leone Limited where he led the bank to win the most profitable bank in Sierra Leone in 2013, as well as Financial Institution of the year in 2013, and The Most Customer-Focused Bank Award in 2012 by KPMG. He also had a stint at Zenith Bank and rose to the position of Deputy General Manager in 2006. He has attended various local and offshore courses in Banking, Strategy, and Leadership, among others. He holds a B.Sc degree in Accountancy and a Master of Business Administration. He is an Associate Member of the Institute of Chartered Accountants of Nigeria (ICAN). 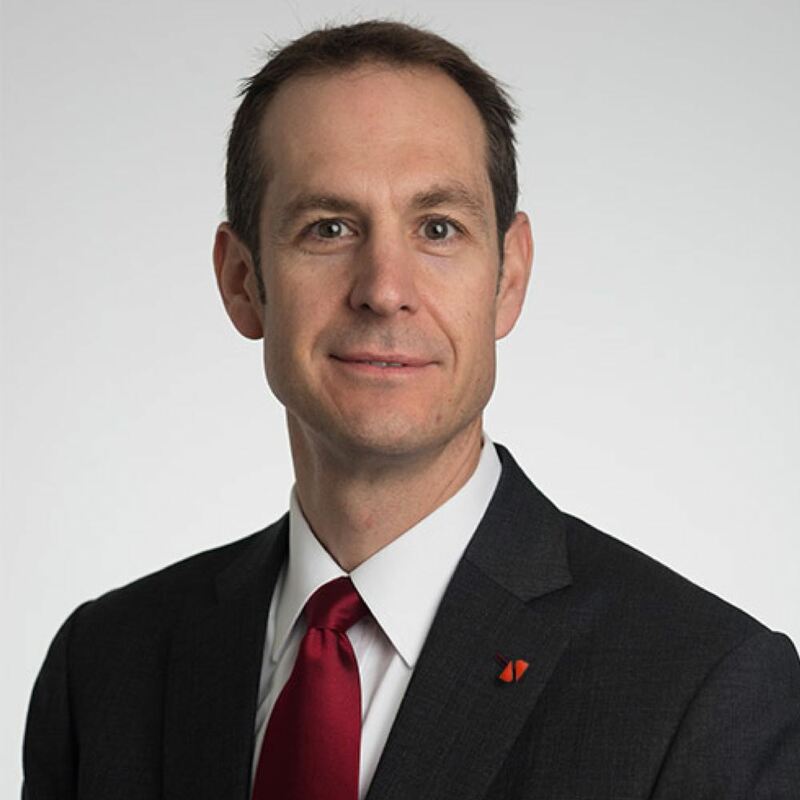 He has over two decades of banking experience spanning Operations, Internal Audit, Enterprise Risk Management, Fraud Management, and Regulatory Compliance. In his current role, he is responsible for coordinating the risk management activities of the Bank. 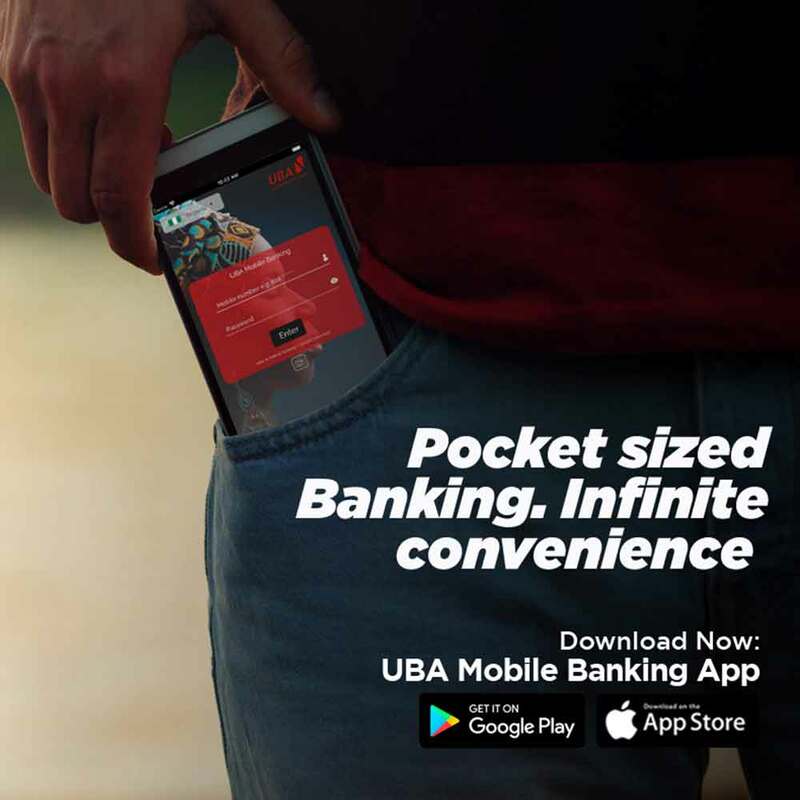 Prior to this role, he was the General Manager of UBA New York Branch and had also previously supervised operations in the East and South Banks of UBA Nigeria. He holds a B.Sc degree in Accountancy and an MBA from the University of Nigeria, Nsukka. He is an Associate Member of the Institute of Chartered Accountants of Nigeria and an honorary member of the Chartered Institute of Bankers of Nigeria. He has more than two decades of experience spanning Banking Operations, Finance, Technology, Audit, and Strategy. 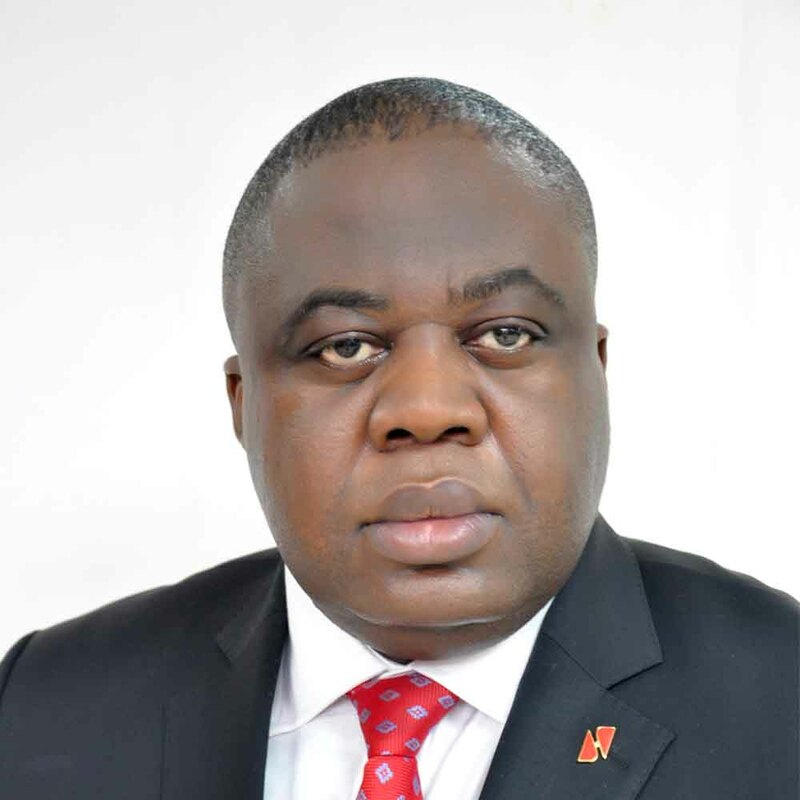 Mr. Kennedy Uzoka is the General Managing Director/ CEO of UBA. 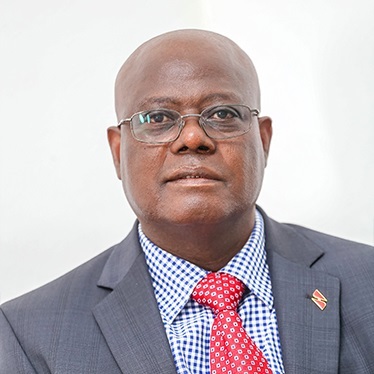 Mr. Uzoka has had a lengthy career at the bank, which over the course of two decades has seen him at the helm of a number of critical departments. 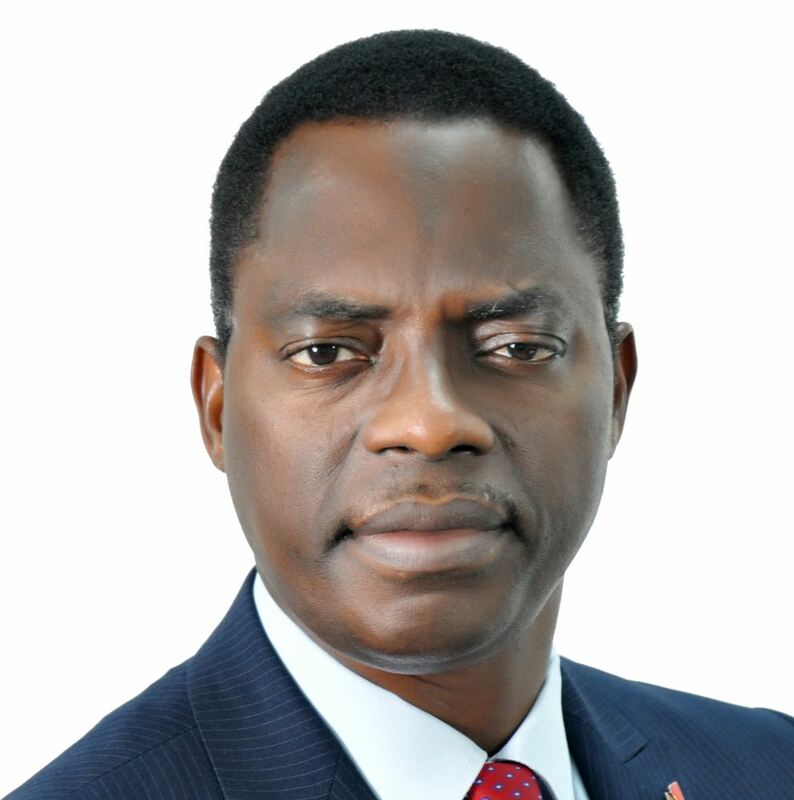 Prior to his appointment as GMD/CEO he was the Deputy Managing Director and CEO of UBA Africa. A keen adaptor of technology and modernity, Mr. Uzoka has supervised two strategic support functions in the bank: Information Technology and E-Banking. 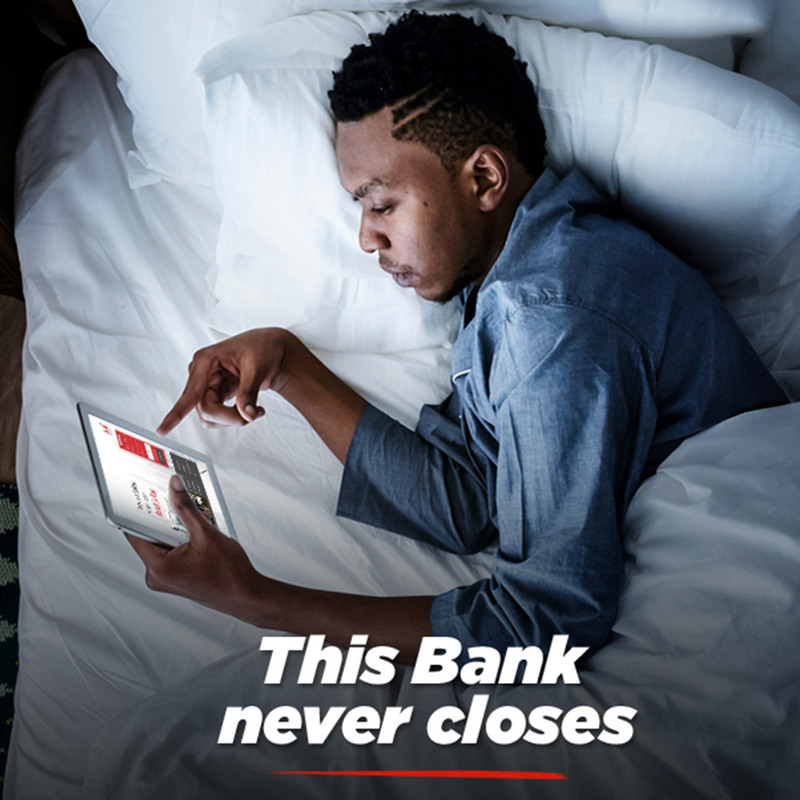 Most recently, Mr. Uzoka has spearheaded the Customer Focused revolution in the bank which has created a fully digital, 24/7 user-friendly experience that aims to anticipate and fulfill our customer’s expectations. 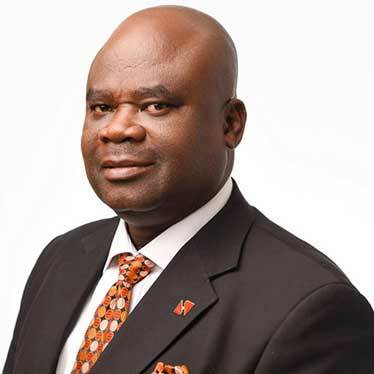 Mr. Uzoka’s career commenced at Standard Trust Bank where prior to the merger he served as Regional Director South East and Chief Marketing Officer of the bank. 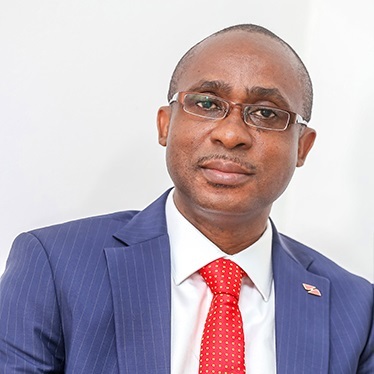 His extensive experience within UBA has given him a birds’ eye view of the organisation’s capabilities and he is committed to enhancing performance, delivery, and processes to ensure that customers, large and small, investors and shareholders see UBA as their preferred financial institution. 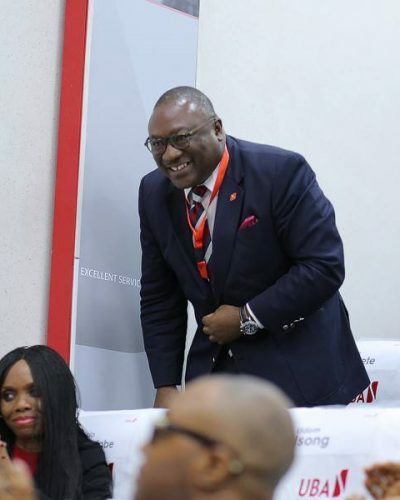 Prior to his role as CEO, UBA Africa he was Head of Strategy and Business Transformation, Head of Resources and supervised the bank’s businesses in New York and London. Mr. Uzoka is the holder of a BSc in Mechanical Engineering from the University of Benin an MBA from the University of Lagos and an AMP from Harvard Business School. 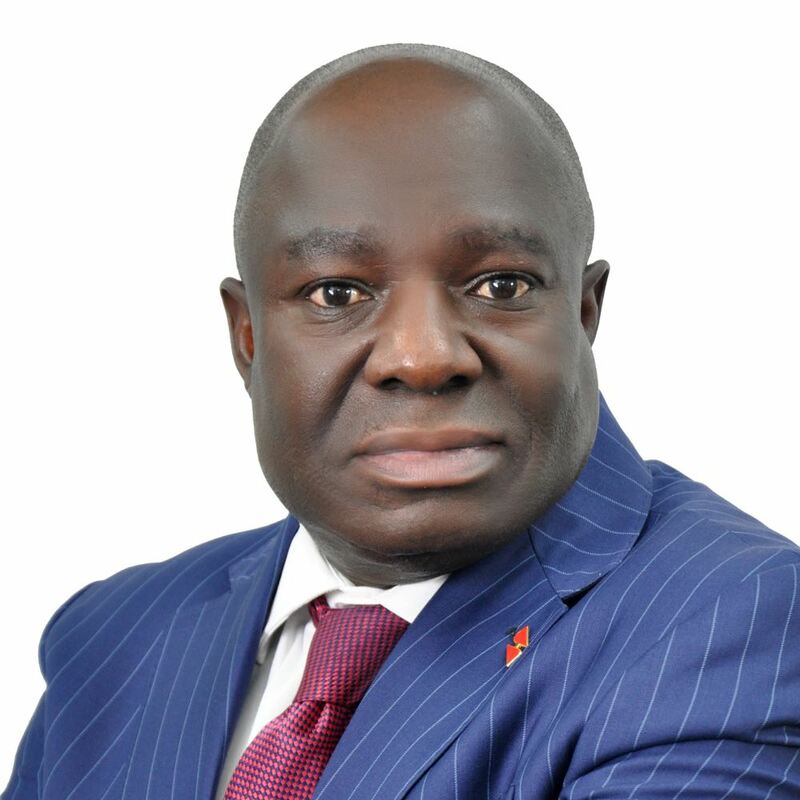 Mr. Dan Okeke is responsible for UBA’s business and activities in Northern Nigeria. Prior to this role, he was head of the bank’s activities in Eastern Nigeria. His wide-ranging career has seen him working in major manufacturing companies before he transitioned to finance. He has over 17 years’ experience in banking, with a specialism in domestic and international operations, credit, and marketing. Mr. Okeke is the holder of a BSc in Geography and Planning from the University of Nsukka and MBA from the ESUT Business School, Lagos. He is also an associate of the Nigerian Institute of Management and attended the Competition and Strategy Programme at Harvard Business School. 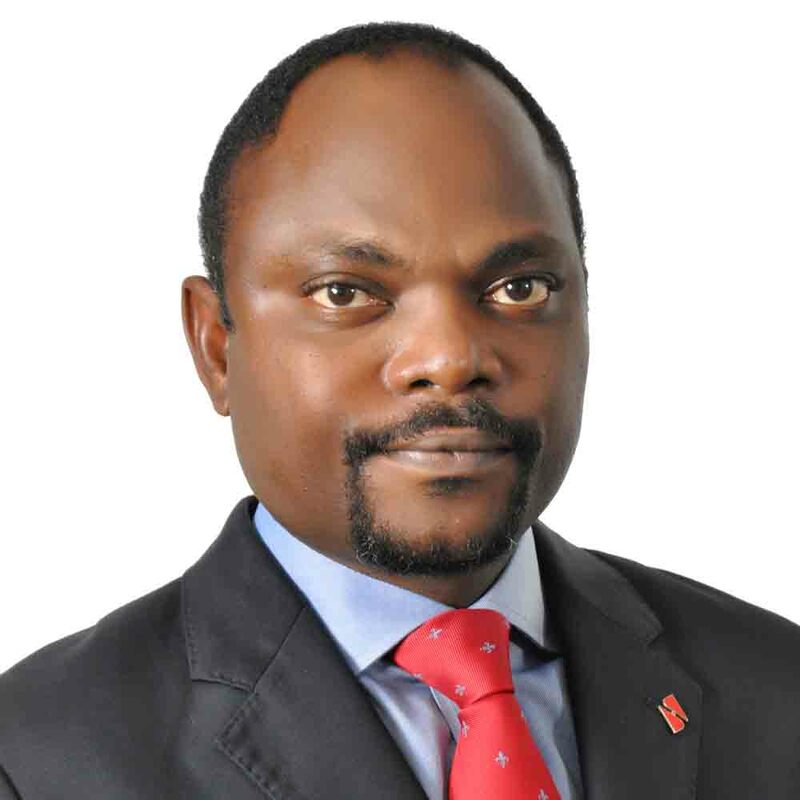 Mr. Emeke Iweriebor is the Regional CEO of UBA Africa (Francophone). His role sees him overseeing the strategic development and activities within our Francophone Africa territories as well as spearheading further expansion. Mr. Iweriebor has over two decades of experience in financial services and has worked for a number of leading financial institutions. 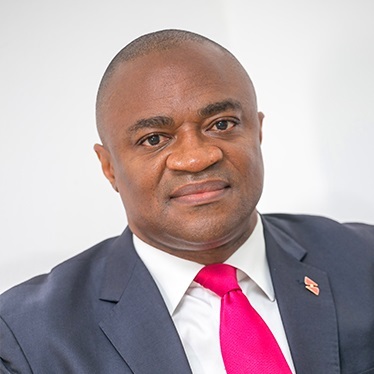 During his tenure at UBA, he has served as the pioneer MD/CEO of UBA Cameroun, Deputy CEO of UBA Africa and Head of UBA CES, the bank’s country subsidiaries in Central, East and Southern Africa. Mr. Iweriebor is the holder of a BSc and MSc in International Relations as well as an MBA from the University of Lagos. He also has an EMP from the Wharton School of Business, University of Pennsylvania. Bili holds an LLB (Hons) degree from Edo State University, Ekpoma, Nigeria and was enrolled as a Solicitor and Advocate of the Supreme Court of Nigeria in 1990. He is a member of the Chartered Institute of Arbitrators (United Kingdom), the Nigerian Bar Association and the International Bar Association. He is an alumnus of the Lagos Business School (Chief Executive Programme 18) and the New York Institute of Finance. He has held high-level strategic positions in top financial service institutions in Nigeria, with responsibilities that encompass Asset Management, Structured Finance, Legal Advisory, Corporate Governance, Human Resources Management, Administration, Knowledge Management and Business Communication. Ugo holds a B.Sc degree from the University of Ibadan, Nigeria and an M.Sc degree in Finance and Management from Cranfield University, England. He is a fellow of the Institute of Chartered Accountants of Nigeria, Associate of the Chartered Institute of Taxation of Nigeria (CITN), a member of the Cranfield Management Association and an Honorary Senior Member of the Chartered Institute of Bankers of Nigeria (CIBN). He is a Seasoned Financial Analyst and Accountant with over two decades experience spanning Assurance, Advisory, Financial Control, Strategy, and Business Transformation, Investor Relations, Mergers and Acquisitions, Business Integration and Project Management. Prior to his current role, he was at different times, Group Financial Controller, Group Chief Compliance Officer, and Head – Performance Management in UBA. Before joining UBA in 2004, he had a decade experience with renowned firms of Deloitte and PricewaterhouseCoopers in Nigeria and Kenya. 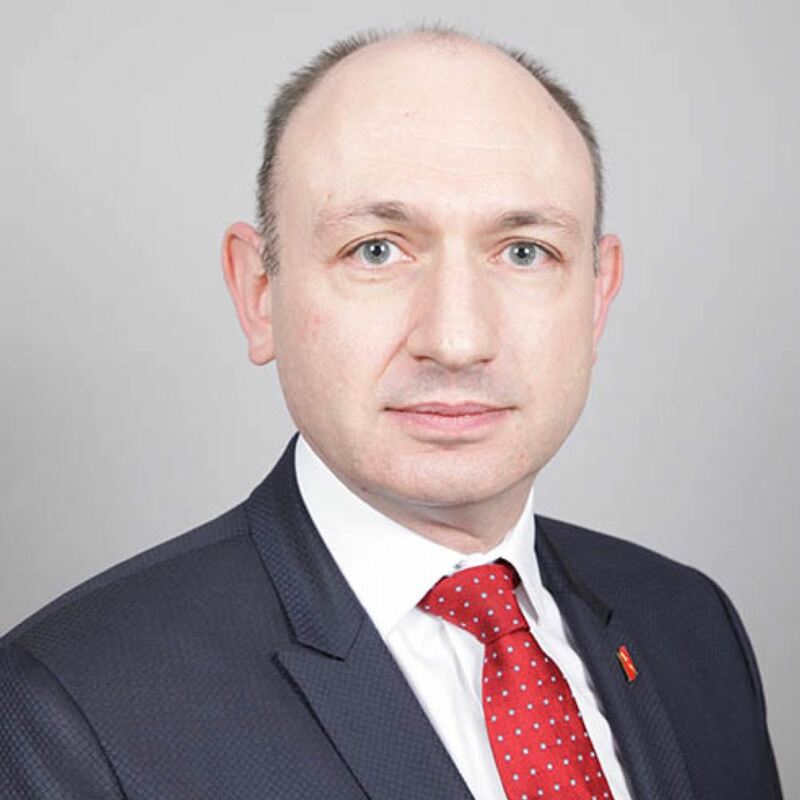 René-Laurent Alciator heads UBA’s Representative Office in France, covering relationships with cglobal corporates, financial institutions, multilateral and development organisations in continental Europe. He has 16 years of international experience in the corporate and trade finance space. René-Laurent holds a Master’s in Political Sciences from the Institut d’Etudes Politiques of Strasburg, France, a Master’s in European Management from business school ESCP Europe, Paris, France, doubled by a German Diplom-Kaufmann from the school’s campus in Berlin, Germany. He speaks fluent French, Italian, English and German. 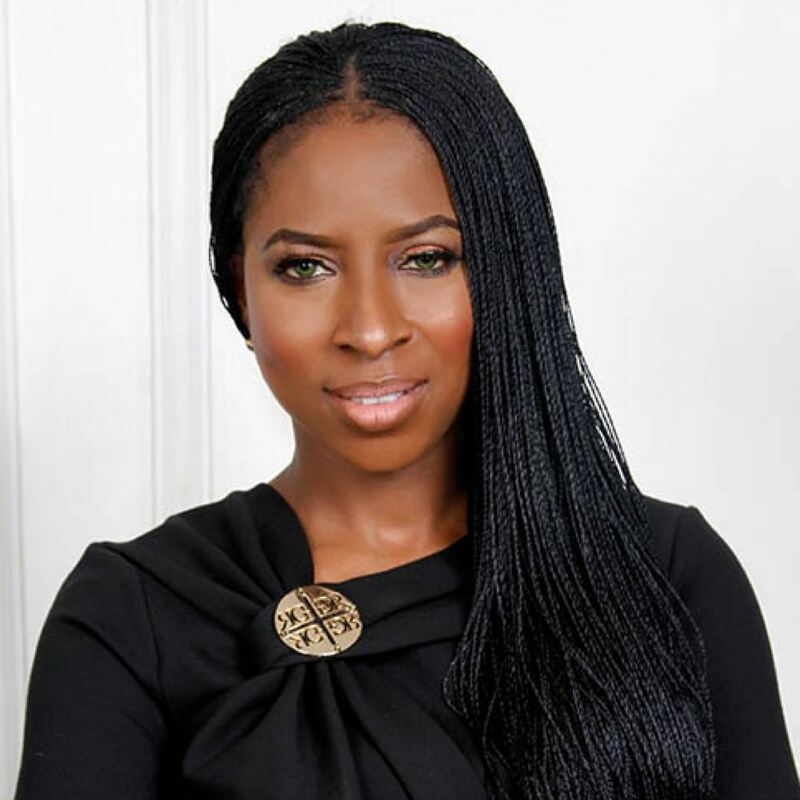 Dupe made Ventures Africa’s 10 Most Influential Nigerian CEOs Of 2015. 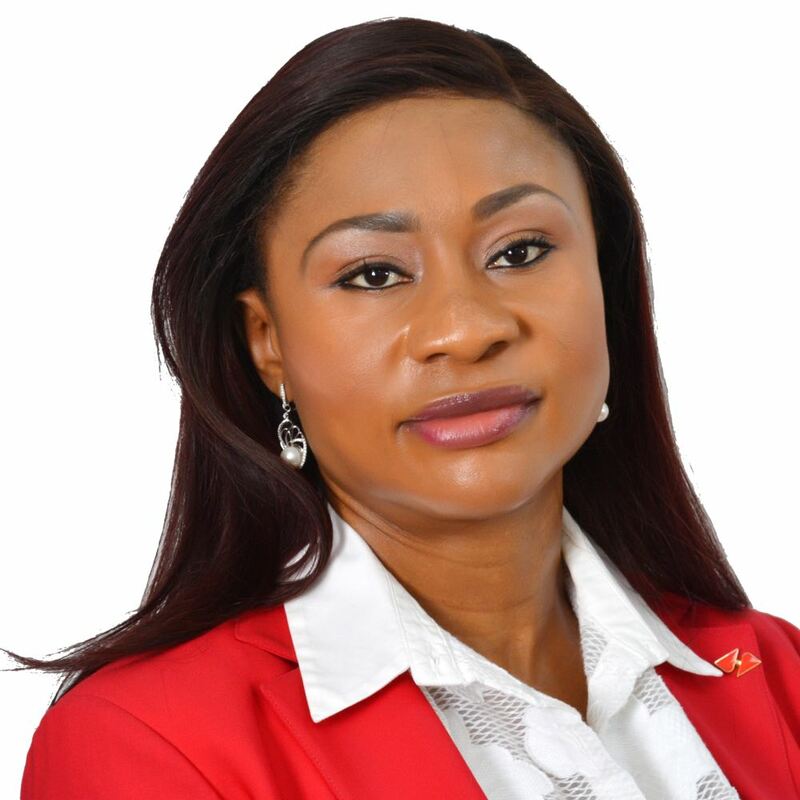 She is currently the Group Head, Marketing for UBA Group and is responsible for the development and delivery of integrated strategy for all UBA Group Bank and non-bank subsidiaries. Prior to her current role, she was the group Head Embassies, Multilaterals and Development Organizations (EMDOs) and Global Investors Services (GIS) at United Bank for Africa (UBA) Plc. Through her leadership, there were meritorious expansion in the Bank’s stake in the EMDOs & GIS sector across Africa and beyond. Dupe has a deep knowledge of several corporate and retail market economies. 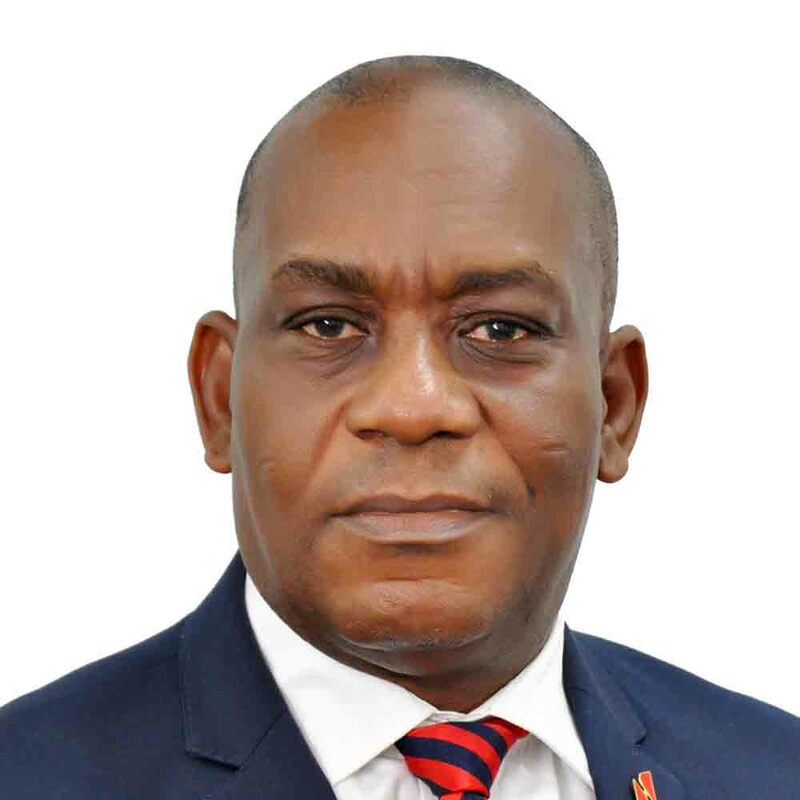 Before joining UBA, Dupe had a distinguished career as the Managing Director and Chief Executive Officer of Teragro Commodities Limited (an indigenous agricultural company). She spearheaded a partnership with Coca Cola to produce Five Alive Pulpy Orange Juice – making Teragro the sole local material source for the juice in Nigeria. 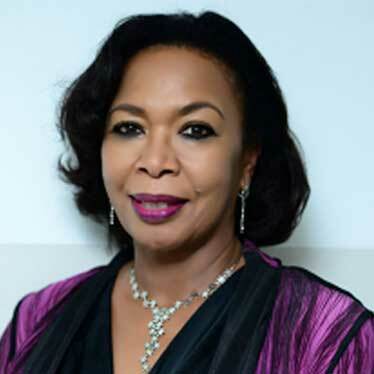 Her professional experience spans various sectors locally and internationally in capacities that encompass private equity from African Capital Alliance, investments and SME experience from Growing Business Foundation, Bloomberg Financial Markets UK, SecTrust (now Afriinvest), Transcorp Corporation and Northern Trust Corporation of Chicago, UK. Dupe studied Economics at the University of Leicester, United Kingdom and obtained her M.Sc in Development Economics from the University of Kent. She is Prince 2, PMP and Investor Management Certified (all UK). Bola Atta was voted one of the top 40 Nigerians under 40 in 2008. She was also celebrated as one of the 100 most influential women in Nigeria in March 2015. A graduate of Economics with MBA in Marketing, she has over 25 years of experience in diverse fields ranging from Banking, Business, Communications, Publishing, Entertainment, and the Media. Approximately 17 out of these 25+ years have been in high-level management and entrepreneurship, enabling her to gain expertise in each of these varied fields of work. She has worked in private enterprise and with government agencies both in Nigeria and South Africa using her expertise in public relations and increasing her wide network within Africa. In 2003, she was invited by the African Leadership Institute in partnership with the UNDP to work on a panel for the development of scenarios for South Africa in 2020. This week-long seminar brought together young leaders from all parts of Africa to map out scenarios for the future not only of South Africa but of the entire continent. It has since evolved into the Bishop Tutu Fellows for young African Leaders. 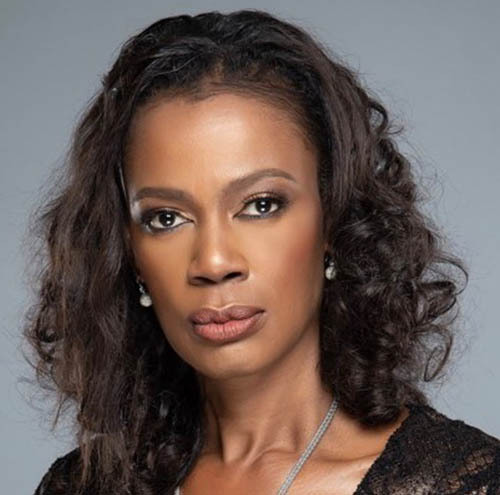 Former Editor-in-chief of Africa’s leading publication, True Love magazine, Atta who is the Executive Producer of acclaimed Africa’s Next Top Model series, now works as the Group Head of Communications for the United Bank for Africa. Her role involves, but is not limited to, directing the development and execution of global marketing and communications initiatives for the Bank as well as managing brand delivery and consistency across all markets and for all products line. In furtherance of her duties, she recently attended the High Potential Leadership Programme at the Harvard Business School. Martin holds a BSc degree from the University of Yaoundé, Cameroon and an MBA in Banking and Finance from the School of Business of the University of Wales, Bangor. Martin is a seasoned banker with 20 years’ work experience. He is a business development professional with skills set in credit risk, financial risk, relationship management, banking operations, and business management. 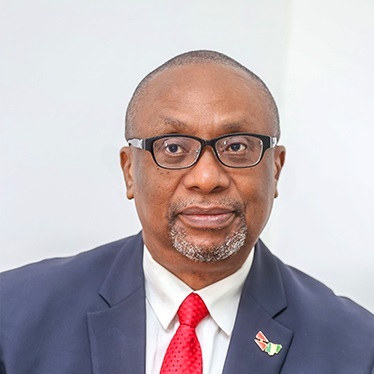 Prior to his current role, he was at different times Managing Director/Chief Executive Officer, Director of Institutional Banking & Project Finance; Regional Director of Institutional and Retail Banking, Head of Multinational and Regional Corporates, Business Office Manager and Credit Analyst. Before joining UBA Cameroon in 2008, he had one decade experience with Ecobank Cameroon and Union Bank of Cameroon Ltd.
Kubi is a Chartered Accountant, RIMAN Associate, and holds a first degree in Accounting from Ahmadu Bello University, Zaria. Her banking career spans close to three decades. She started work as an Operations Staff before moving into Risk Management and Treasury, plus a stint in Trade Products. Kubi joined UBA in 2006. 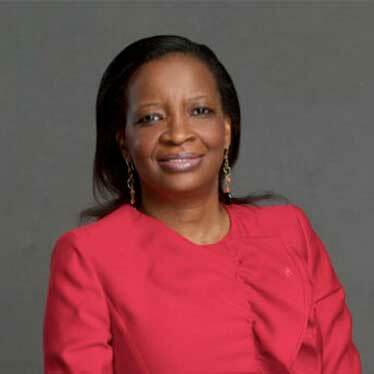 Prior to becoming the Group Head, Risk Management at UBA Plc, she was the Chief Risk Officer in another financial institution, during which time she was also a Non-Executive Director on the Board of an insurance company. 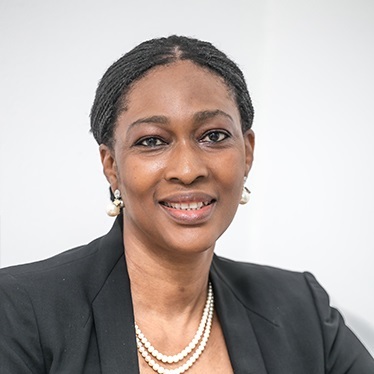 In her current position, she has responsibility for Operational, Market, Information Technology and Credit Risk Management across the UBA Group, ensuring that the risk profile aligns with the Group’s risk appetite, asset quality standards, capital allocation, and strategic growth targets. In addition to the duty to ensure the quality of the risk asset portfolio and business continuity, she is driving the Group’s forward-looking practice on risk management, a culture which enhances UBA’s adaptability to emerging market and technology trends. Kubi is an industry knowledge resource, leveraging formal trainings in reputable global institutions and hands-on experience. She is renowned for her in-depth analysis, being a financial tele-analyst on macro trends. Sanusi holds a B.Sc in Accounting from Ahmadu Bellow University, Zaria. He is Fellow of the Institute of Chartered Accountants of Nigeria, and an alumnus of the Harvard Business School. He has over 28 years of banking experience spanning Banking Operations, Financial Control, Customer Service and Marketing. 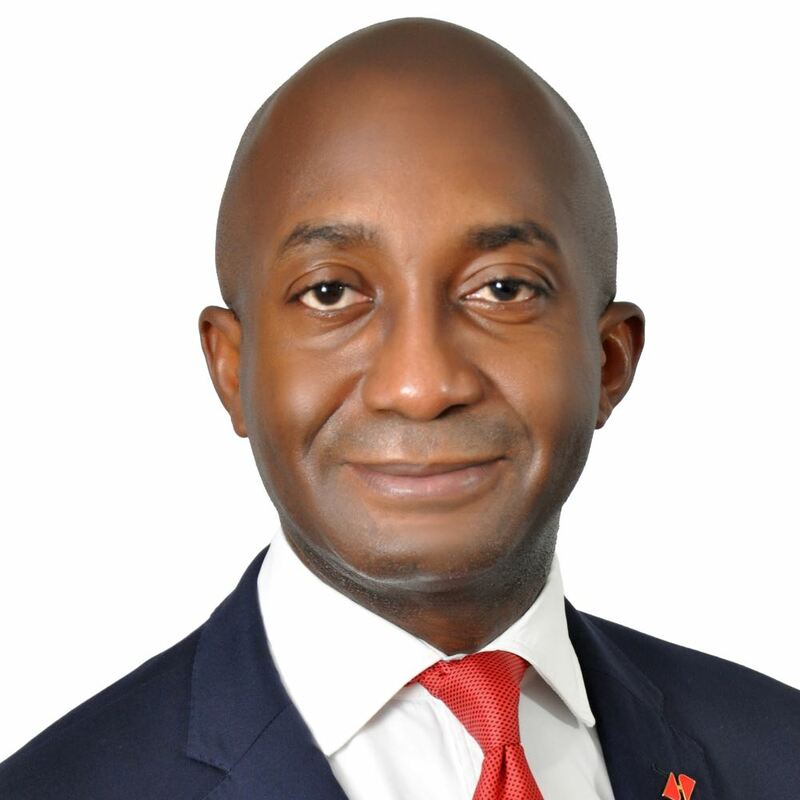 Sanusi has played various roles across the UBA Group and was the pioneer COO of UBA Ghana and CEO UBA Zambia. He is currently the Group Head, Internal Control, where he has overall responsibility for ensuring compliance with management policies/procedure, strategic thinking and providing top management support. Amie has over two decades of banking experience, spanning business development, risk management, and broader executive management functions. As the Regional CEO, West Africa 2, Amie oversees the Group’s subsidiaries in Senegal, Guinea, and Mali. Prior to her current role, she was the Managing Director/CEO, UBA Senegal, one of the Group’s flagship subsidiaries that won “Bank of the Year” Award of the Banker’s Magazine (Financial Times) for six consecutive years. Amie is renowned for her wealth of experience in corporate banking, structured finance, and SMEs lending and relationship management across the CEMAC sub-region. She has strong relationships in West, Central, and East Africa and has deep knowledge of the banking sector and the broader economy of these countries. Amie has three Masters degrees in Economics, Banking & Insurance, and Public Finance from leading universities in Senegal. Dupe is a graduate of Pharmacology from the University of Lagos, Nigeria and also holds a Masters In Business Administration from the University of Benin. She is an Alumna of Lagos Business School; and Cranfield University UK. She is a Seasoned Corporate Banker with experience in Corporate Finance and Specialised Credits. Before joining UBA in 2006, she also had successful careers at Nigerian American Merchant Bank; Commercial Bank Credit Lyonnais/Capital Bank International and Access Bank Plc. Head, Strategic Business Group 4, Northern Nigeria. Abubakar holds a Bachelor of Agriculture degree from Ahmadu Bello University Zaria, Nigeria, a Master Degree in Business and Commercial Law; and MBA from Bayero University Kano, Nigeria. He is an Honorary Senior Member (HCIB) of the Chartered Institute of Bankers of Nigeria (CIBN), an Associate of the Institute of Chartered Economists of Nigeria (ICEN) and a Pioneer Member of the Institute of Planning, Nigeria (IPN). 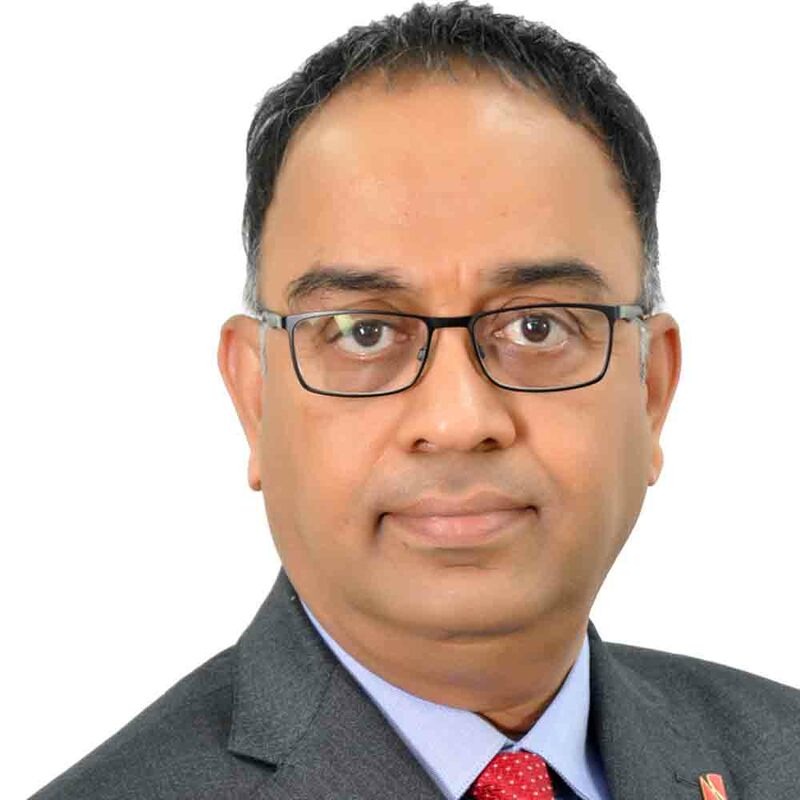 He has wealth of experience in Banking and Management which spans various areas of Banking, Managing Commercial, Retail, Corporate and Public Sector clients, and has served in strategic leadership and management roles. Abubakar commenced his banking career with the defunct FSB International Bank Plc after a stint in consulting at Afri-Projects Consortium. He has served at different times as Group Head Private Sector, Zenith Bank Plc; and Regional Head, Access Bank Plc. Patricia is responsible for UBA Group’s Human Resource function across its 20 African countries and its other international subsidiaries. With the Bank’s transformation agenda, which continues to place the customer at the heart of all that we do, ensuring our people are fully engaged and highly productive remains the top priority for the human resources department. This has necessitated repositioning HR for the digital age, and a focus on exceptional employee experience. A dynamic and passionate people leader, Patricia’s background is firmly rooted in Human Resources, Organisation and Leadership Development, Executive Coaching, as well as Business Operations, spanning over two decades, gained from working in 18 countries in Europe. She holds two Masters Degrees – in English Literature and Employment Relations and Law from the University of Ibadan and Kingston University UK respectively. Her first degree is in English and Literature from the University of Benin. Patricia is a Fellow of the Chartered Institute of Personnel and Development, a life member of the Institute of Directors, UK and served as a member of the UK employment tribunals for about 15 years. Abiola Bawuah is the Regional CEO, West Africa 1, overseeing the Group’s subsidiaries in Ghana, Benin Republic, Cote D’Ivoire, Liberia and Sierra Leone. 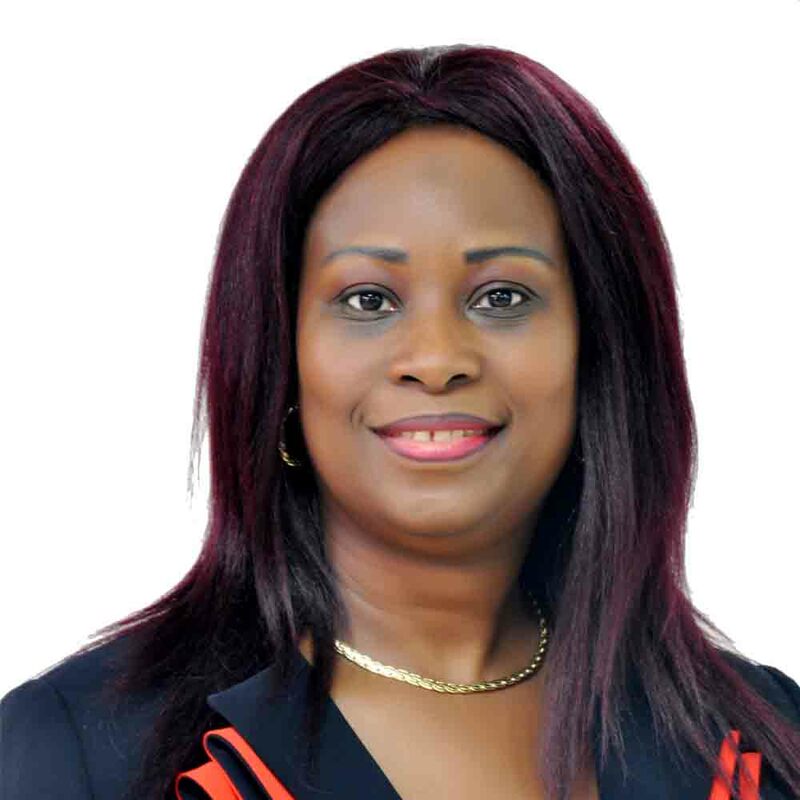 Previously, she was the Managing Director/CEO of UBA Ghana, with enormous experience in retail banking and marketing. 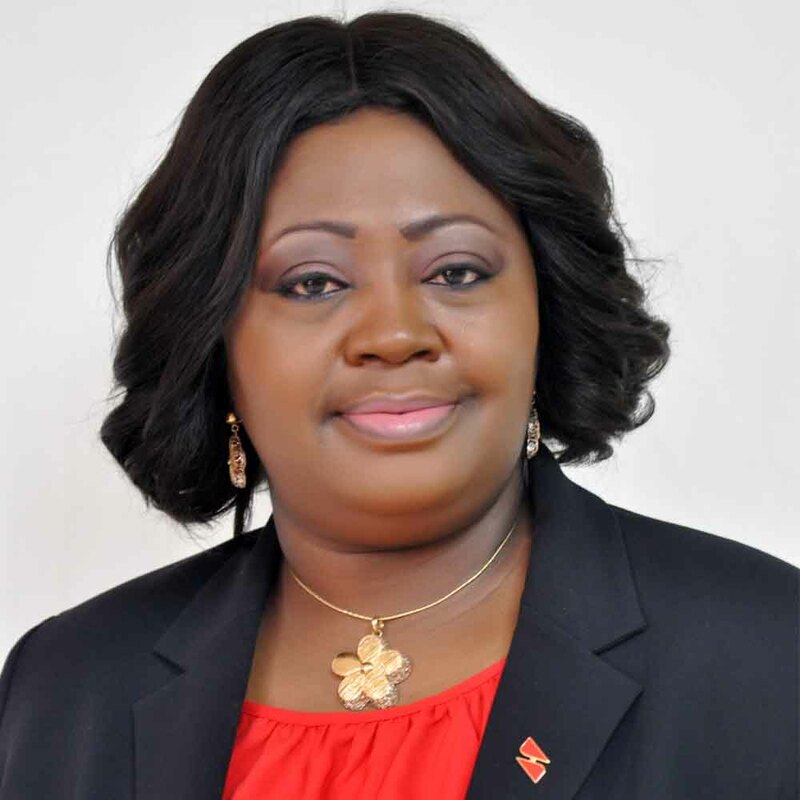 In 2013, she left Zenith Bank Ghana; where she was the Executive Director; having previously held the positions of the General Manager, Marketing and Group Head, Retail Banking; and joined UBA Ghana as Deputy Managing Director the same year. 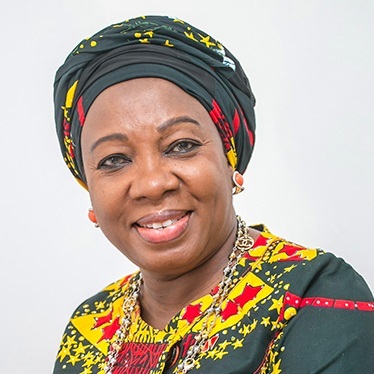 Mrs. Bawuah also worked with Standard Chartered Bank as the Head of Sales; with CAL Bank as Relationship Manager; Strategic African Securities as an authorized dealing broker and with the then Bentsi-Enchi and Letsa; now Bentsi-Enchil, Letsa and Ankomah law firm as an investment officer. Bawuah holds a BSc in Actuarial Science from the University of Lagos, Nigeria, an LLB from the University of London, a diploma in Marketing from GIMPA and EMBA (Finance) from the University of Ghana. 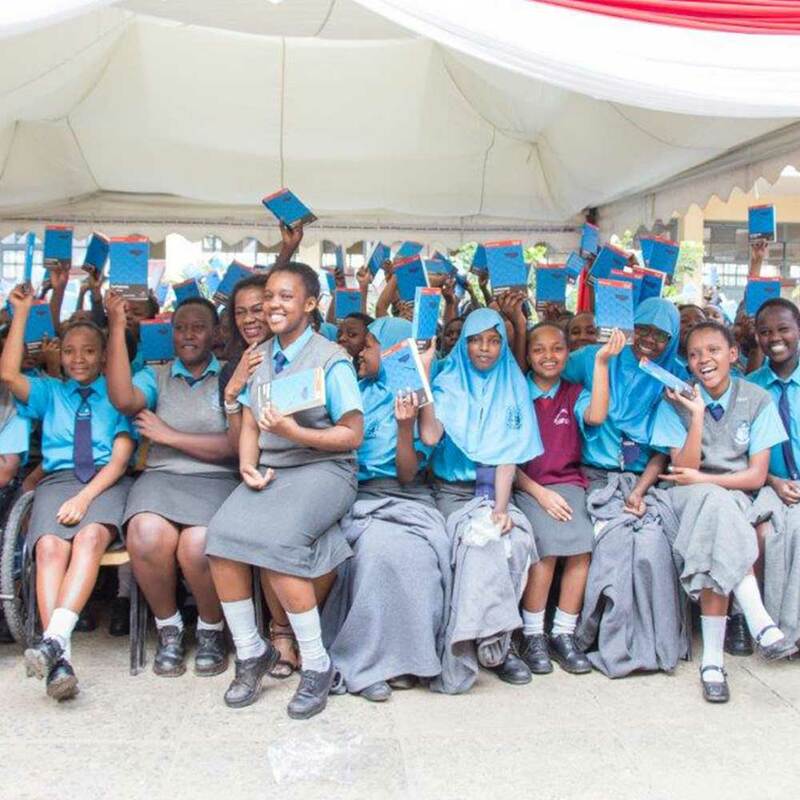 She also has numerous leadership qualifications from Harvard Business School, Columbia, University of New York, INSEAD and Institut Villa Pierrefeu in Switzerland. Ebele holds a B.Sc (Honours) degree in Accounting from the University of Lagos and an MBA (IT and Management) from CASS Business School, London. 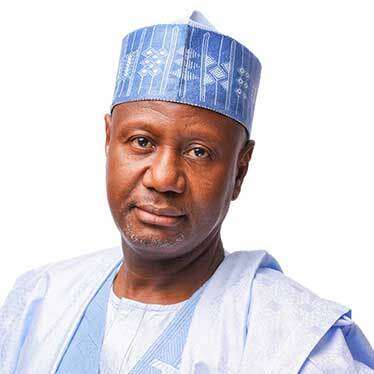 His professional career started at Price Waterhouse in 1991, before his foray into banking, where he has spent the last two decades working at international banks such as Citibank and Standard Chartered Bank, before joining UBA in 2004. His banking experience spans various areas of banking from Asset Based Finance to Core Corporate Banking and Trade Finance. 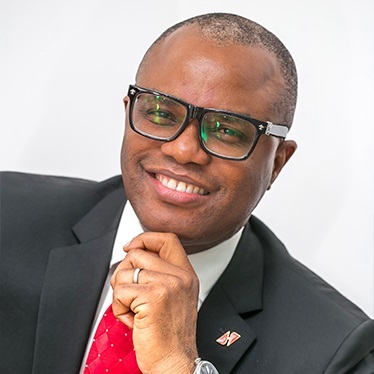 Prior to his current role, he was MD/CEO, UBA Capital Europe Limited and the pioneer MD/CEO, UBA Liberia. Samuel holds an LLB degree from the Bendel State University (now Ambrose Alli University), Ekpoma, Edo State Nigeria and an LLM degree from both his alma mater and the University of Lagos. He is a member of the Chartered Institute of Arbitrators, United Kingdom. Before joining the banking industry in 1997, he lectured at the Ambrose Alli University, where he was the Acting Head of the Department of Commercial Law in the Faculty of Law. He was appointed Company Secretary/Legal Adviser of Standard Trust Bank (STB) Plc in 1997. Following the merger of STB Plc and UBA Plc, he became the Deputy Legal Adviser. In 2007, he was appointed the Group General Counsel. Mr. Adikamkwu had attended several courses within and outside Nigeria. 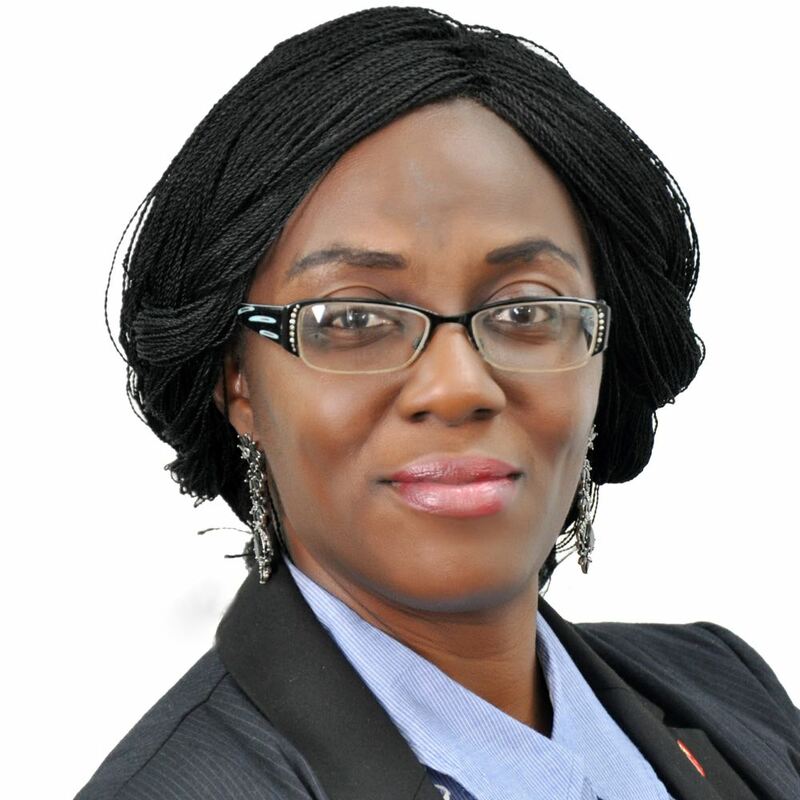 Adesola has a first degree from Obafemi Awolowo University, Ile-Ife and an MBA from the Aberdeen Business School. Sola is a highly experienced banker with over 22 years of banking experience cutting across Business Development (managing Corporate and Institutional relationships), Structured Lending, Transaction Banking, Commercial Banking, Correspondent Banking, and Banking Operations. 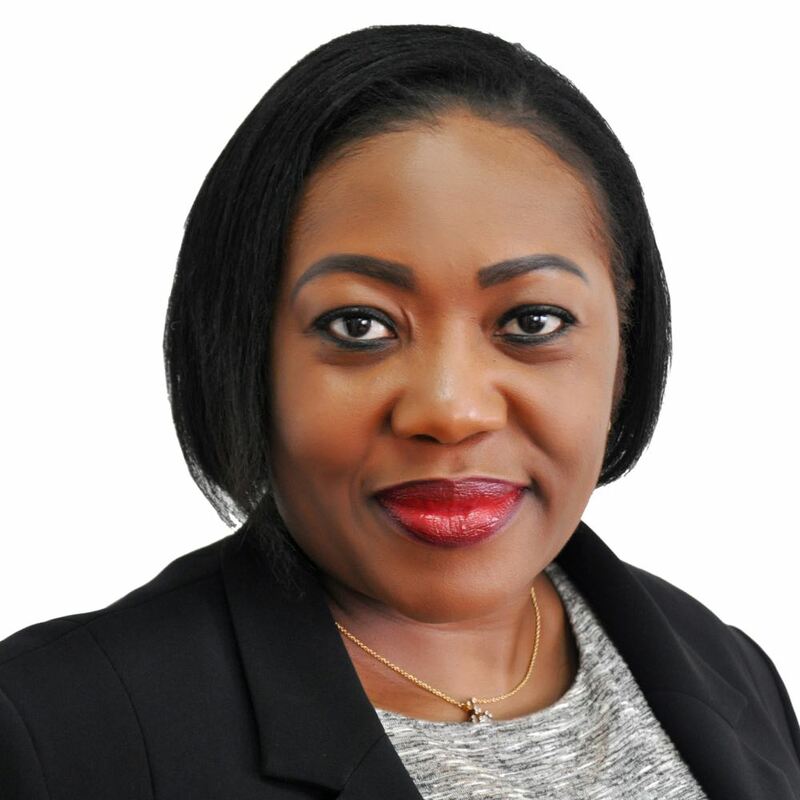 Adesola is currently the Group Head, Global Financial Institutions for UBA Group operating out of our London office, and has responsibility for managing UBA’s relationships with Banks, Development Financial Organisations and Export Credit Agencies. In addition, she is responsible for originating and negotiating foreign currency debt funding for the Group, as well as forging and managing UBA’s strategic alliances across the globe. She has benefited from the Judge Business School, University of Cambridge’s executive education program while also attending several industry-specific training in banking and management. Sola is a Fellow of the Chartered Management Institute, UK. Franklyn holds a B.Sc degree in Business Administration from Ahmadu Bello University Zaria and MBA from the University of Lagos. He is an Honorary Senior Member of the Chartered Institute of Bankers of Nigeria; Member, Association of Certified Anti-Money Laundering Specialist; and Associate Member, Nigeria Institute of Management (Chartered). He is an experienced Compliance, Regulatory, and AML/CFT Risks professional of over two decades in the banking profession. Other areas of specialty include Banking Operations, Local and International Bank Branch Startup, Internal Control and Corporate Governance. Prior to his current role, he had worked with Citibank in various capacities including Chief Compliance Officer for Citi Nigeria; Compliance Head for Citi in West Africa and acting Compliance Head for Sub-Saharan Africa. He had a brief stint with Union Bank Plc as Regulatory and Franchise Risk Strategy Consultant leading the AML/CFT Compliance Transformation. He has attended several local and international trainings/seminars in banking operations, AML/CFT; managing and leading people. Gboyega holds a first class (Honours) degree in Accounting from the Obafemi Awolowo University Ile-Ife and is a Fellow of the Institute of Chartered Accountants of Nigeria (ICAN) and Honorary Senior Member of the Chartered Institute of Bankers of Nigeria. He also holds post-graduate degrees in Economics and Public Administration. Gboyega has had a distinguished banking career spanning over 25 years in Operations and Control and more recently Audit. Before joining UBA, he had worked at Citibank Nigeria Ltd. and Access Bank Plc where he occupied senior roles. Emem is currently a Group General Manager. She holds a B.Sc degree in Biochemistry and MBA degree from the Obafemi Awolowo University, Ile-Ife. She is also an alumnus of the Lagos Business School and Harvard Business School. Emem is a member of the Chartered Institute of Bankers of Nigeria (CIBN) and has over 20 years of banking experience. She has strong capabilities in Relationship Management, Effective Communication and Business Development with a track record of winning and executing high-powered transactions. She has won several high-performance awards over the years of her career and has strong competencies in Corporate, Commercial and Public Sector Banking. Prior to joining UBA in 2011, she was a Regional Executive in Bank PHB Plc (now Keystone Bank), where she was responsible for developing the commercial businesses in the Bank’s Victoria Island region. 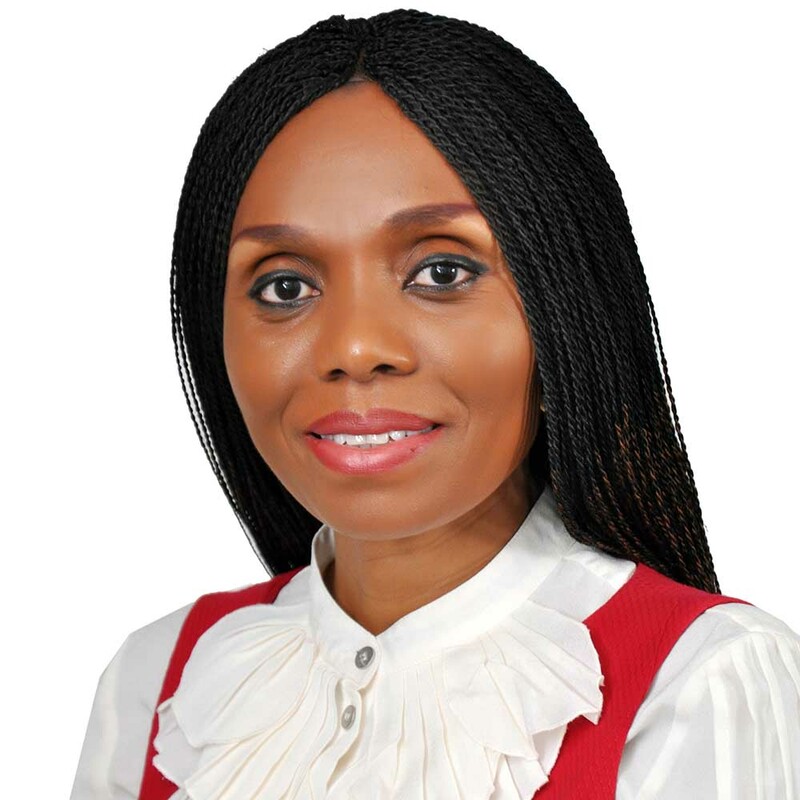 Upon joining UBA, Emem was the Regional Bank Head, Akwa Ibom, and Cross River Bank, from where she became the Directorate Head for Abuja Bank, where she was saddled with the strategic responsibility of sustainably growing revenues, customer base and profitability of the region. She is now the Regional Director, Lagos Island 2 Region. Emmanuel holds a B.Sc (Honours) degree in Accounting from the University of Benin, Nigeria and he is a Fellow of the Institute of Chartered Accountants of Nigeria (ICAN) and Associate of the Chartered Institute of Taxation of Nigeria (CITN). He is an alumnus of the Harvard Business School, Boston, and the Lagos Business School. His experience spans various areas of banking including Financial Markets, Operations, International Trade, Business Strategy, and Structured Finance. Emmanuel has had a distinguished career serving at different times as Group Treasurer at Diamond bank and FinBank (now part of FCMB) after having a stint in Consulting, Auditing and Taxation Practice. Muyiwa holds a B.Sc degree in Accounting from Obafemi Awolowo University, Ile-Ife, Nigeria and he is an associate of the Institute of Chartered Accountants of Nigeria, as well as a member of various professional institutes. He is a Seasoned Financial Analyst, Corporate and Investment Banker with over two decades experience spanning Business Advisory, Financial Control, Investment Banking, Capital Market Services, Wholesale Banking, Energy, Government, and Corporate Banking, in Nigeria and across Africa. 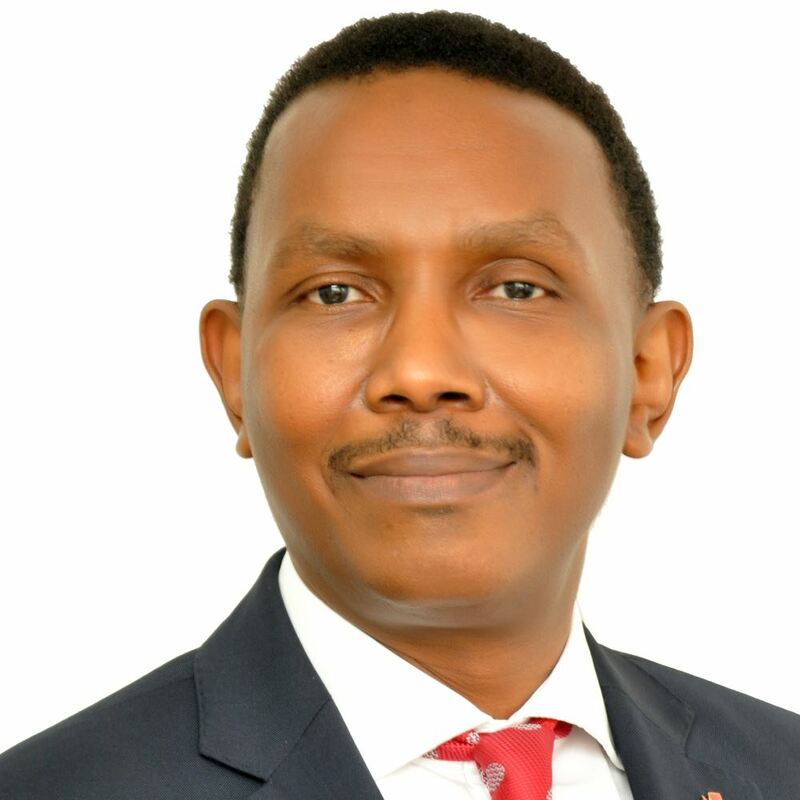 Prior to his current role, he was Director, Wholesale Banking, Rest of Africa, CEO, UBA Kenya, Head, Investment Banking, Head, Global Corporates, Regional Director, Retail Banking in UBA and erstwhile Standard Trust Bank Plc. Before joining Standard Trust Bank/UBA in 1998, he had worked with Diamond Bank after having a stint in audit and financial services firms. Muyiwa was trained in leading institutions, including Harvard Business School, Wits Business School, South Africa, amongst others. Anant holds a Master of Commerce degree and an MBA from Sri Sathya Sai Institute of Higher Learning in India. He is a Banking Operations and Financial Technology Professional for last two decades and joined UBA in 2008. Prior to being the Director, Customer Fulfillment Centre, he was at different times, Head, Strategy and Business Transformation and Director, Global Shared Services Centre. He was responsible for setting up of the state-of-art Global Shared Services Centre for UBA Group and managed the transition of all the operations processes across the Group for all UBA Bank and non-bank subsidiaries. Prior to UBA, Rao had a distinguished career working for 14 years in the areas of Operations and Technology in Citigroup. He led large transformational offshore projects for Citigroup in EMEA and Asia Pacific regions and also managed Consumer and Corporate Banking and Technology Operations for various countries under EMEA, Asia Pacific regions. He has deep domain knowledge and diverse experience in Banking Operations and Financial Technology, Outsourcing, Offshore Operations, Business Transformation, Credit and Risk Management in the financial services industry. At UBA, we realise that our people remain our most valuable assets. Our people are our competitive edge in a highly dynamic and competitive banking environment. We have invested in the best performance management systems to ensure our people always have the cutting-edge skills to excel in what they do. We also have in place financial and non-financial incentive schemes, including a staff recognition scheme to reward our high-performance staff members for excelling in their duties. Our staff is multicultural, multilingual, and highly diverse in outlook, reflecting the richness and diversity of the 22 countries we operate in. Our people strategy is hinged on always seeking to employ the best people, and creating a conducive environment for them to excel in their work and to delight customers, while providing competitive remuneration and reward systems to retain our best hands. 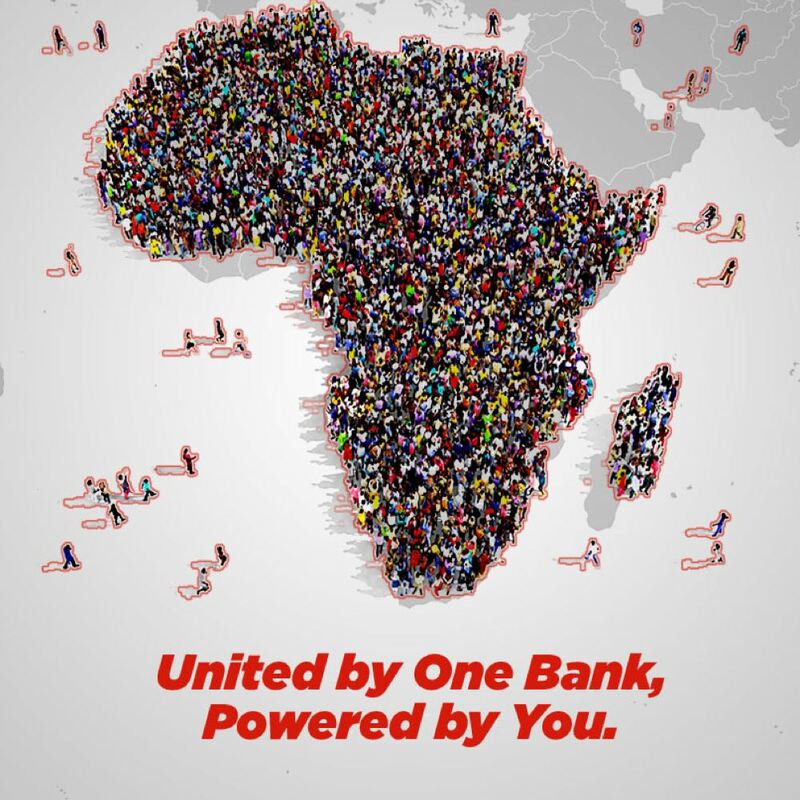 UBA employees are fondly referred to as the ‘UBA Lions and Lionesses’, reflecting the confidence with which they deliver financial solutions to the bank’s customers.